It was in the reign of Queen Victoria that the first foreign honeybees were imported into the UK and our weather-hardy, chocolate-coloured brown bee began to fall out of fashion. Before this, all beekeepers in Britain kept the British Isles’ very own native subspecies of dark European honeybee (Apis mellifera mellifera). Later, during the First World War, a bee plague called the Isle of Wight disease, possibly a virus brought in with imported stocks, was said to have eradicated our native dark bee completely. To quickly refill the empty hives regular imports of the Carniolan honey bee (Apis mellifera carnica), the Italian bee (Apis mellifera ligustica) and other races became the norm and the old dark bee was replaced in both our apiaries and affections with a yellow one. Striped yellow bees are now the accepted stereotype. Crosses between subspecies now populate the British Isles with an assortment of varicoloured hybrids, from yellow Italian bees in the south to the dusky offspring of Caucasian and Carniolan parentage that masquerade as dark bees in the north. However, there were rumours that relict populations of the native bee still existed in remote Scottish glens and islands, and in 1992 a few pure colonies were found by the Scottish Bee Survey, carried out by John and Morna Stoakley. The same year another disease problem arrived– varroa destructor– literally brought in on the backs of imported bees. Varroa arrived with a range of associated viral diseases, such as deformed wing virus, transmitted into the bees’ blood when bitten by the feeding varroa mite. 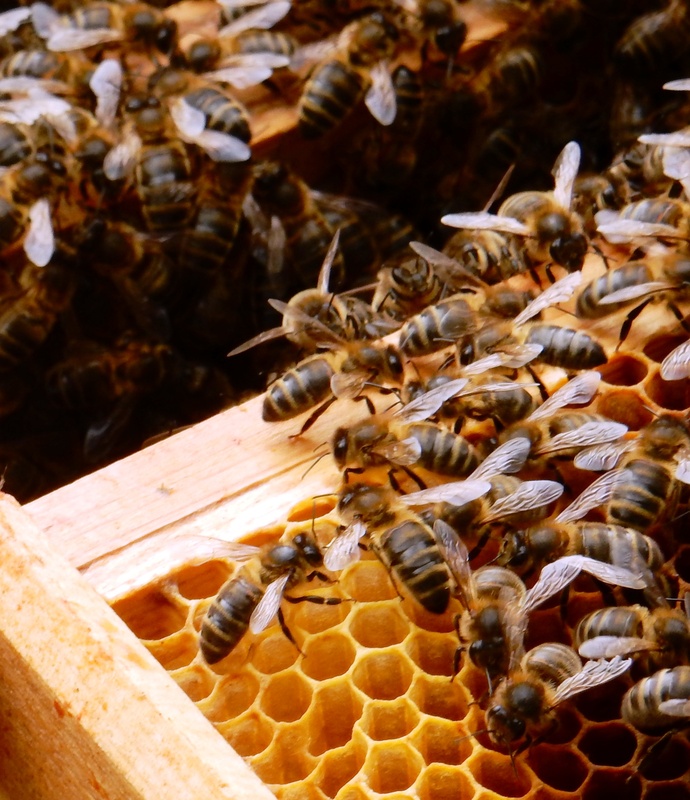 This double whammy of parasite and virus has caused world-wide concern for bee health as the problem spreads with the international trade in queen bees. Fortunately some small areas of the British Isles remain varroa free, one of which includes Beinn Eighe National Nature Reserve at Kinlochewe. 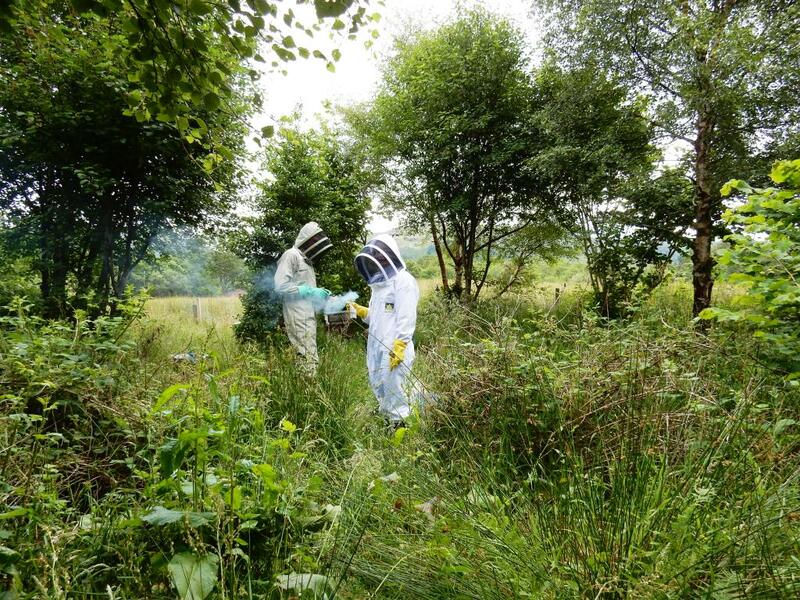 This provided an opportunity to conserve an oasis in which stocks of healthy, native dark bees could be protected and reared. 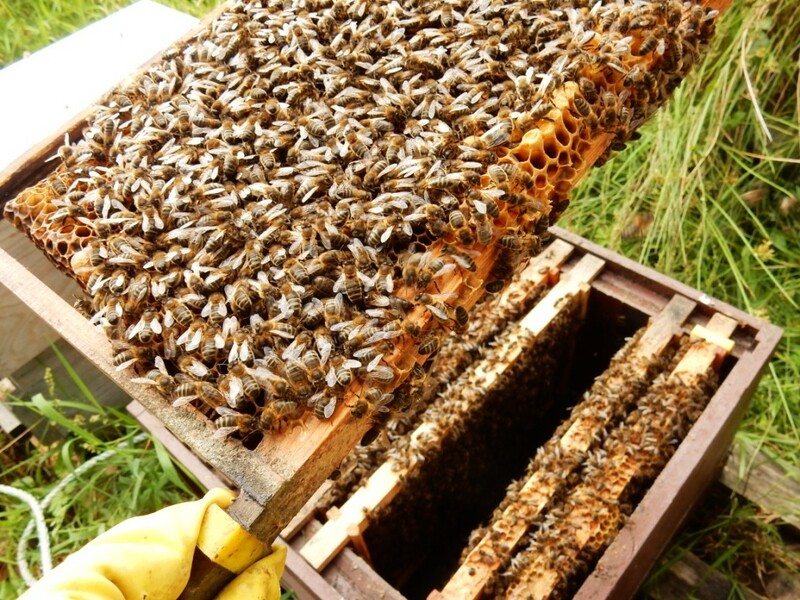 In 2010 the first bee eggs, only a few millimetres long, were harvested from a small, secret apiary of pure dark bees 200 miles from Beinn Eighe. Boxes of bee eggs were taped to the skin of beekeepers to keep them warm on the long journey back to the reserve, where they were they grafted into foster hives ready to raise them as their queens. After only a few years they’ve produced a healthy, native dark bee population, thriving in and around the gardens, hills and crofts of Kinlochewe. The twofold uniqueness of this population, being both pure dark European honeybee and varroa free, makes it of special interest to bee researchers working on varroa and viral disease. 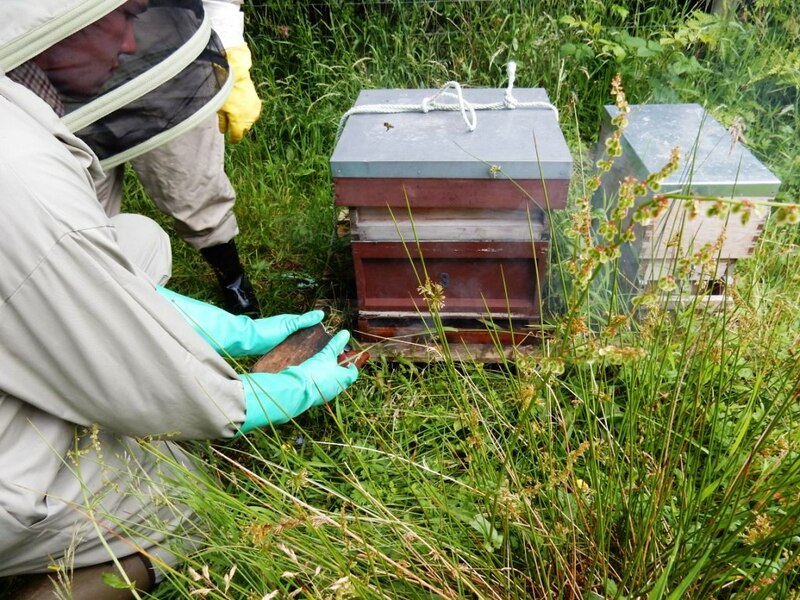 Dr Ewan Campbell of Aberdeen University is closely involved with a pan-European bee initiative called SMARTBEES. “It’s a highly collaborative project with partners across Europe”, he explains. 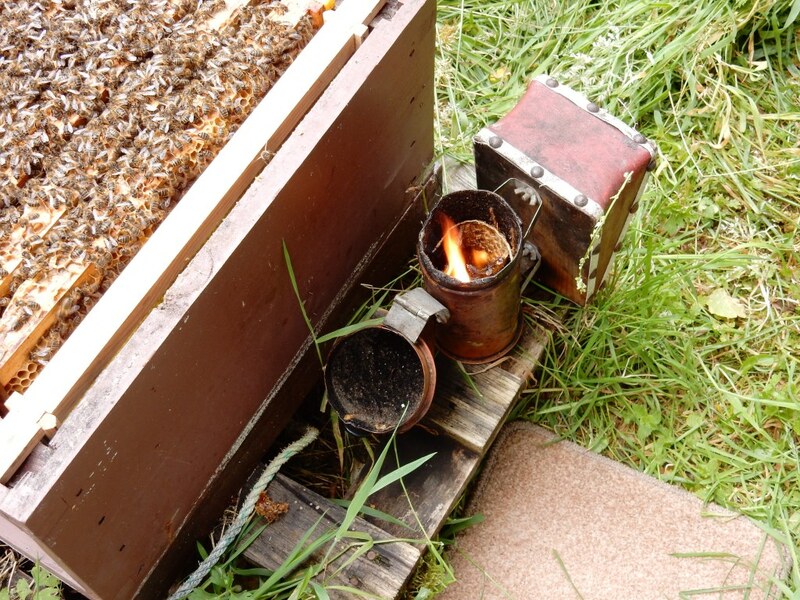 “We were approached to be part of the initial proposal on the back of our success with previous projects to stop the varroa mite. Varroa mites are still relatively unstudied so it made sense to apply our expertise to the economically important and devastating varroa mite. 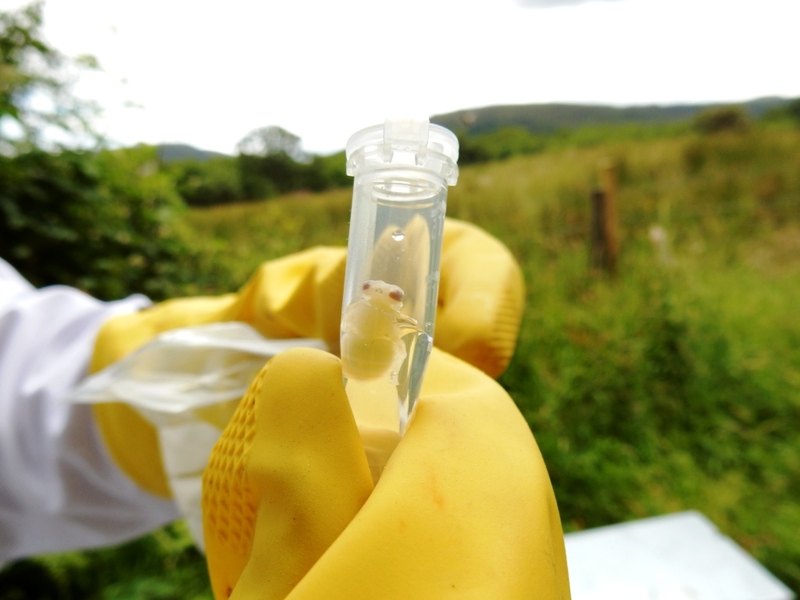 The SMARTBEE samples were collected at Beinn Eighe this summer, and already the first vials containing larvae, pupae, females (workers) and males (drones) have been harvested by student volunteers and sent to the lab at Aberdeen University. These native bees, which were thought to have disappeared, could now play a vital part in preventing millions of other honeybees disappearing throughout the world in the future. Visit the SMARTBEES website to find out more about the project. You can also download our free Wild bees of Scotland identification guide. Photos (C) Margie Ramsay. Many thanks to Margie who is managing the project at Beinn Eighe. This entry was posted in bees, biodiversity, National Nature Reserves and tagged bees, Beinn Eighe, biodiversity, Bumblebee Conservation Trust, bumblebees, Euoropean honeybee, varroa. Bookmark the permalink.